The Inova Health System is taking a stand against plastic straws, banning the environmental menace from its six hospitals, healthplexes and clinics across Northern Virginia. WASHINGTON — The Inova Health System is taking a stand against plastic straws, banning the environmental menace from its six hospitals, healthplexes and clinics across Northern Virginia. Inova said it recycles more than 2 million pounds of material from its hospitals annually and will be the first health system on the East Coast to eliminate plastic straws. It also plans to reduce single-use plastic items such as utensils and coffee stirrers in public areas, including cafeterias and gift shops. “It’s wonderful. It’s going to be great for our region, it’s going to be great for our environment,” Maureen Farrington of the Anacostia Watershed Society said, noting that the plastic can’t be recycled. 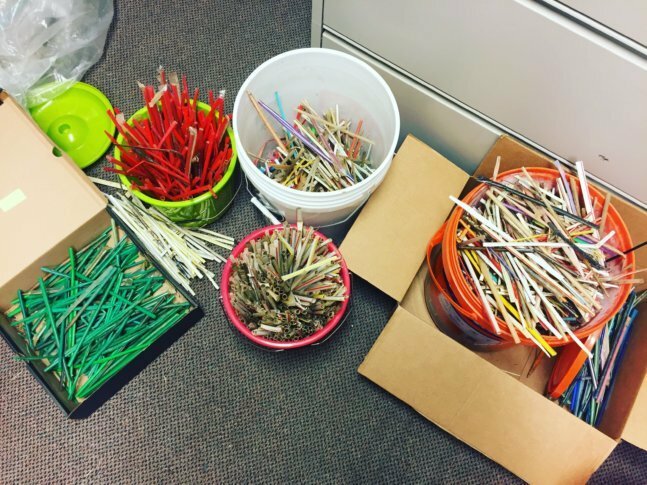 During Earth Day cleanup efforts in April, the group collected and counted 4,026 straws from the Anacostia River and area streams and parks. As for what’s prompting the changes at Inova, Wadhwa said it’s about people’s health and being a good neighbor. Acknowledging that straws can be essential for some disabled individuals and patients, the hospital will stock eco-friendly, paper straws for use when necessary. The target date to eliminate plastic straws from hospital public areas is America Recycles Day on Nov. 15. Inova joins the city of Seattle and coffee giant Starbucks in rejecting plastic straws as a move to help the planet. Locally, the Council of the District of Columbia is considering a ban on plastic straws and stirrers and plans to hold a public hearing on the matter this fall. “Let’s keep it up. Let’s ban plastic straws, let’s ban plastic bags, let’s do everything we can to keep what we’ve got here,” Farrington said.